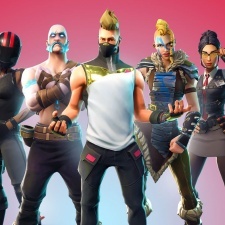 The beta for Epic Games’ battle royale hit Fortnite on Android has launched today exclusively on Samsung Galaxy devices. Initially supported devices specifically include Samsung Galaxy S7, S7 Edge, S8, S8+, S9, S9+, Note 8, Note 9, Tab S3 and Tab S4. Those who purchase a Samsung Note 9 or Galaxy Tab S4 will also receive a special Galaxy outfit in-game. Previously rumours had suggested that Fortnite might be exclusive to Samsung devices, specifically the Note 9, for a longer period. As we previously reported, Fortnite will bypass Google Play entirely and will only be available from the Fortnite website through Epic’s own launcher. Fortnite Android will support cross-play and cross-progression across PS4, Xbox One, Nintendo Switch, PC, Mac and iOS. Epic CEO Tim Sweeney previously labelled Google Play’s revenue “disproportionate” as a key motivator behind the company skipping the marketplace. “The 30 per cent store tax is a high cost in a world where game developers’ 70 per cent must cover all the cost of developing, operating and supporting their games,” said Sweeney. “There's a rationale for this on console where there's enormous investment in hardware, often sold below cost, and marketing campaigns in broad partnership with publishers. “But on open platforms, 30 per cent is disproportionate to the cost of the services these stores perform, such as payment processing, download bandwidth and customer service. Fortnite for iOS is available through the App Store, however, in what is a much more closed ecosystem.